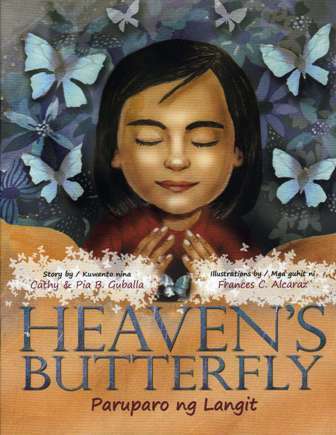 Heaven’s Butterfly, a children’s book on loss, March 2009, published by Anvil. Written by Cathy Babao Guballa and Pia B. Guballa, illustrated by Frances Alcaraz. 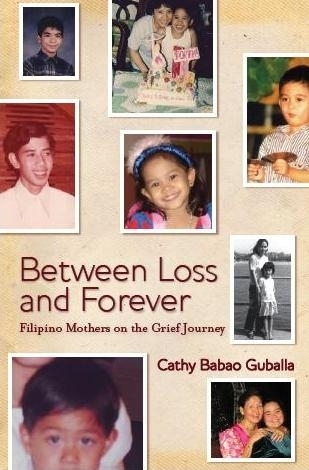 “Between Loss and Forever” Filipino Mothers on the Grief Journey, October 2011. Published by Anvil. For more information visit the BLF Facebook page. Both books are available at National Bookstore, Powerbooks, and Bestsellers.